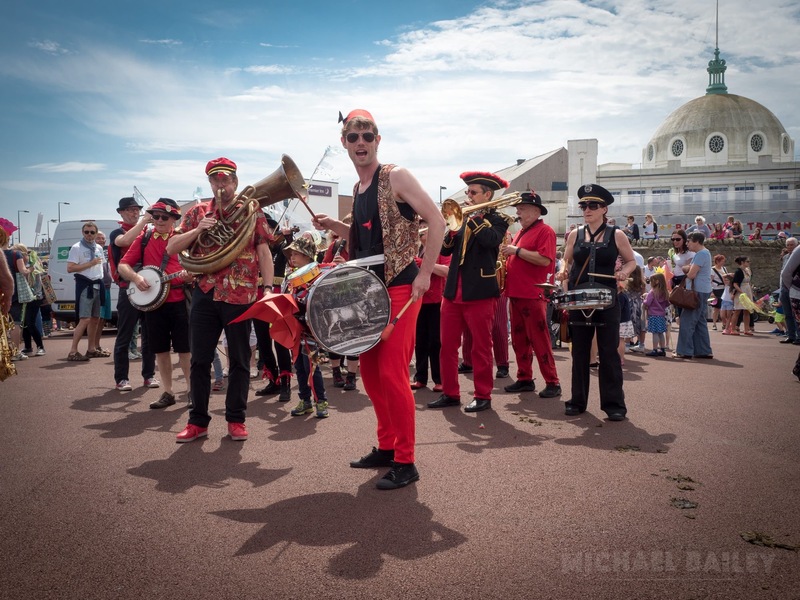 Meze Mundo, based in Newcastle upon Tyne, is a versatile street band playing lively music from around the world. We entertain outdoors and indoors, and bring life, fun and colour to community, charity and commercial events, garden parties, weddings, galas, fairs, festivals, parades, etc. Public events we have played include: Newcastle New Year’s Eve celebrations; Whitley Bay Carnival; Morpeth Gathering; Warkworth Show; Slaley Fair; Jesmond Community Festival; Ouseburn Festival; Durham Christmas Market; Dunston Staiths Food Festival; Exhibition Park bandstand re-opening, Newcastle; Newcastle Lord Mayor’s Parade; OVO Tour of Britain; Rugby World Cup, Newcastle; Magic Rugby, Newcastle; Vamos! Latin Festival; Newcastle May Day Parade; Durham Streets of Brass Festival; Stockton Festival Parade; South Tyneside Summer Fayre; Easington Heritage Day; Spennymoor Gala parade.